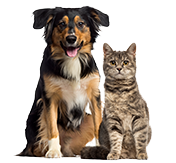 When it come to our pets, we only want the best. 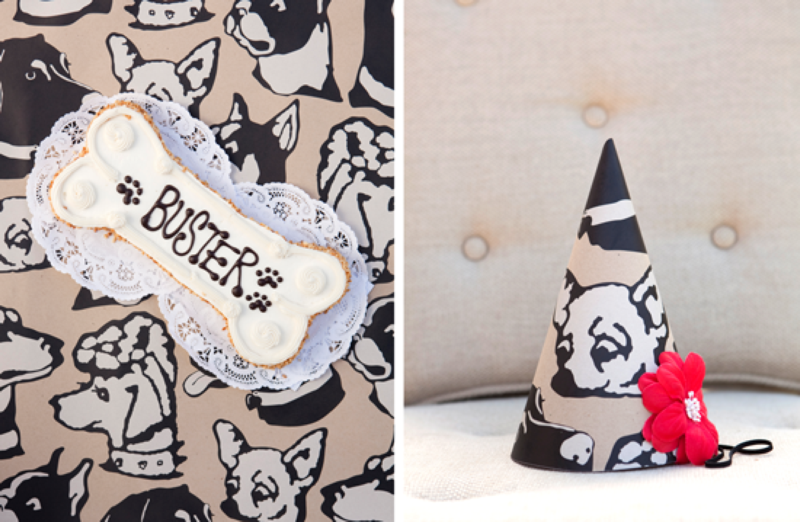 And what’s better than a birthday party, just for your pup? 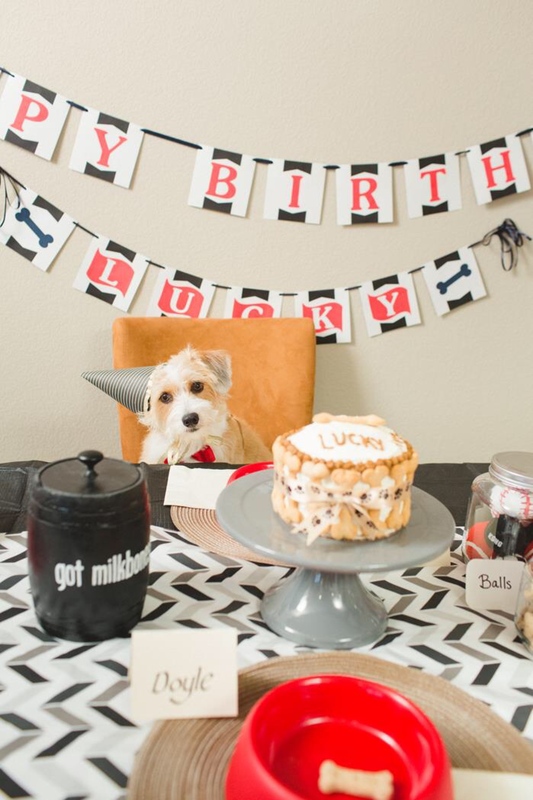 These pet parents planned perfect parties for their dogs, even inviting their pals. Whether you’re getting ideas for your pet’s birthday or your own, check out these six dog birthday parties. 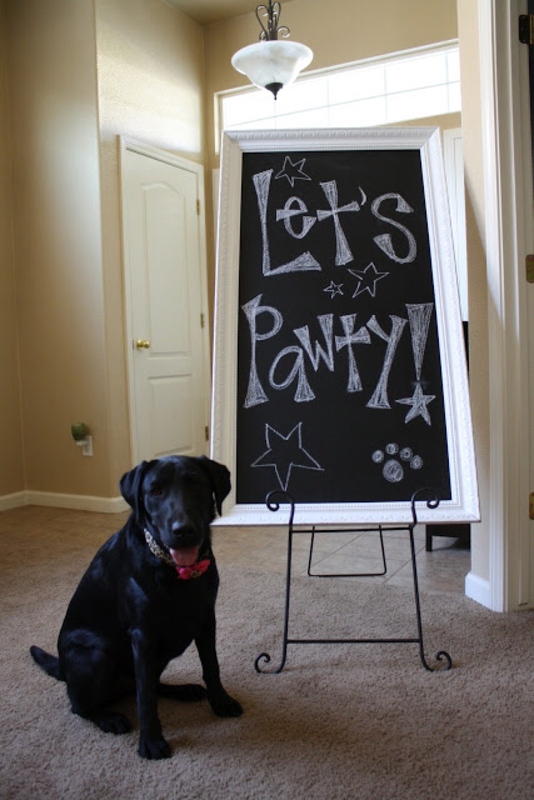 Lifestyle blogger Katie Marie threw a puppy “pawty” for her one-year-old black lab, Ari! 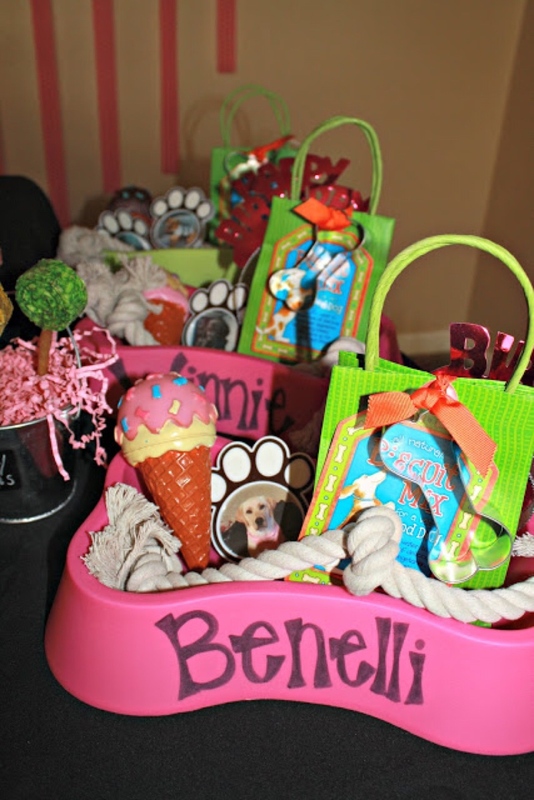 Custom invitations, puppy pops, and centerpieces made from dog bones and tennis balls make this party pawsworthy. 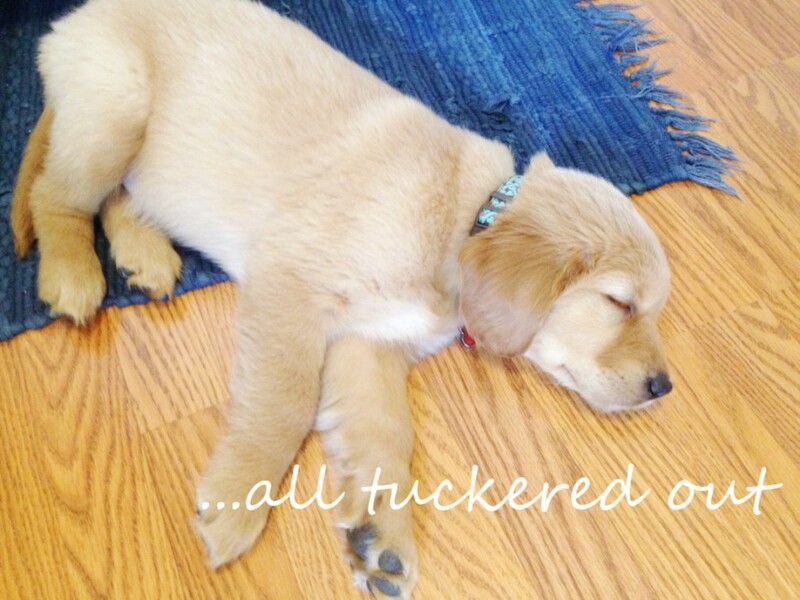 Party favors included chew toys, pup pictures, and a DIY dog treat mix. 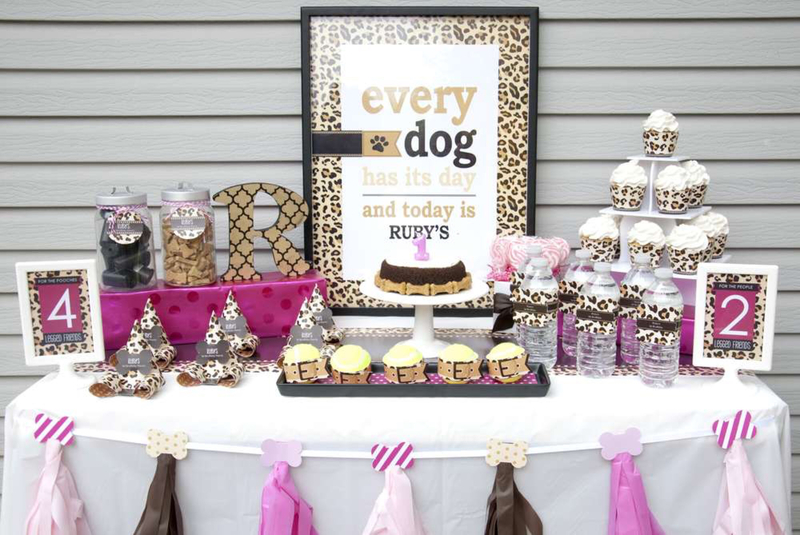 Although not technically a birthday party, this puppy shower thrown by blogger Kelly Gene is doggone cute. To celebrate her sister’s new puppy, Kelly threw a puppy shower! Puppy snacks were served in (clean, new) dog bowls, with bottled “Flushwasser toilet water” to drink. Party games included famous dog trivia! 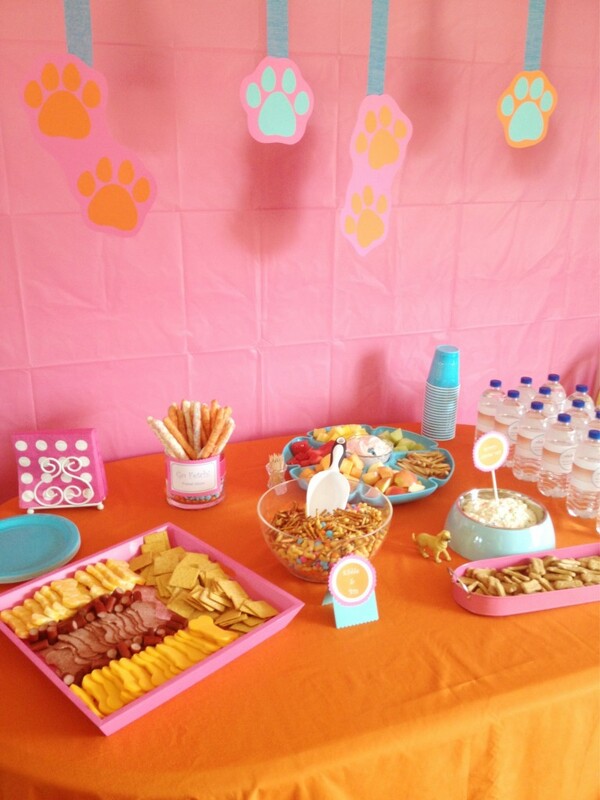 Give your dog’s birthday party a theme! 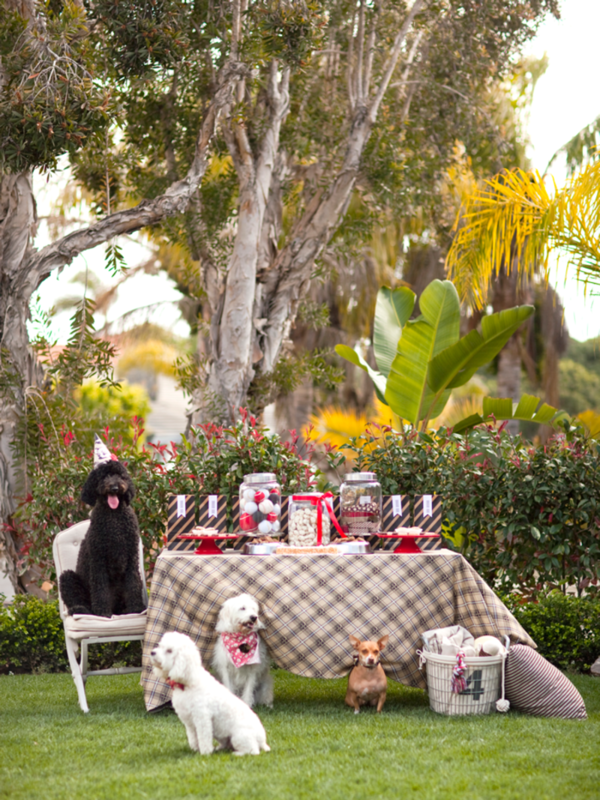 This celebration – thrown by Jessy for pup Ruby – had separate treats for two- and four-legged guests. A photo booth let pet parents dress up their dogs and take pics, while tennis balls and treats kept pups entertained. Another dog birthday party with a color/pattern scheme, Buster’s bash is definitely classier than any birthday party I’ve ever had. 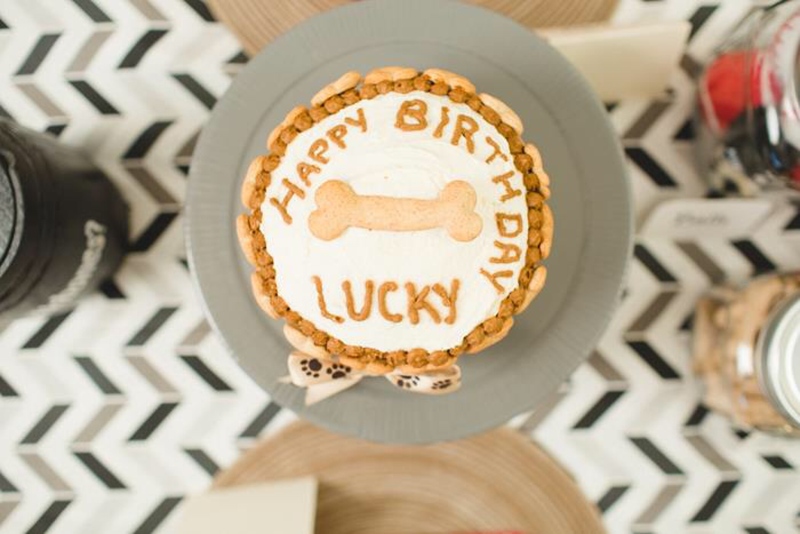 Tartan tableware and custom doggie desserts from a canine bakery give this dog’s birthday party style. Handmade dog leashes were provided as favors, for pet parents and their canine charges. A very elaborate dog birthday party, Lucky’s festivities were planned by professionals and catered by local vendors. Canine guests had personalized table settings, complete with place cards. An amazing, dog-friendly birthday cake was devoured in no time.